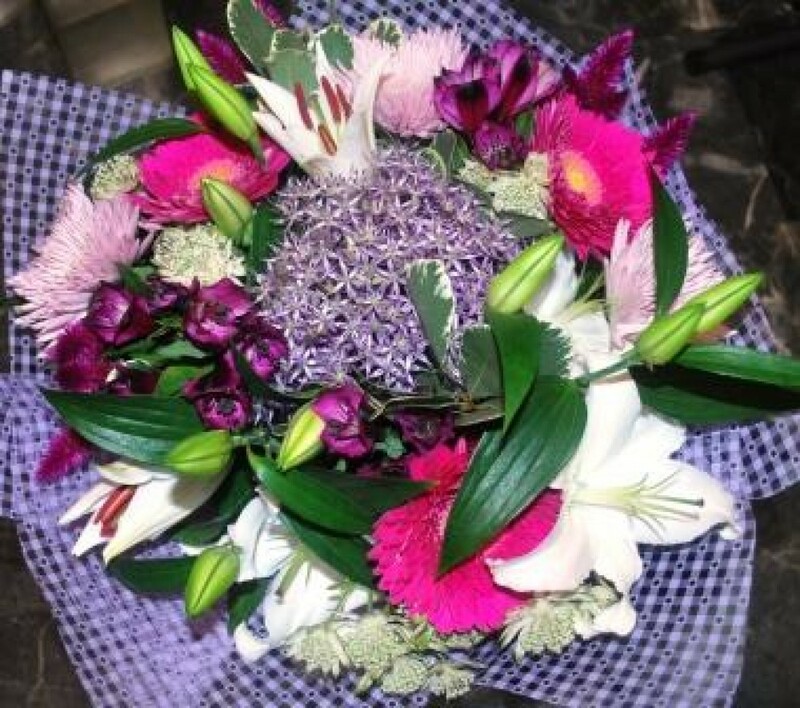 Handtied bouquet of oriental white lilies, gerberas, alstromeria and allium dressed with striking foliage. Pink oriental lilies may be used in this design, please specify when ordering. Flowerscene are delighted to deliver flowers in Aberdeen and surrounding areas. Same day delivery is often available on orders received before 2pm local time.